I still have a couple of unread Wilkie Collins novels on my TBR shelves so I decided to pick up The Law and the Lady this season. 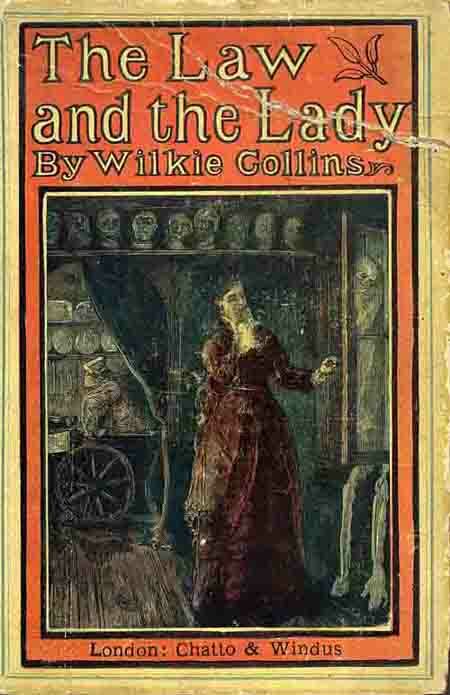 It is one of Wilkie's later books (1875) and is a thrilling story. Valeria is an orphan who lives with her aunt and uncle. One day she meets a man who is fishing near her home and it is basically love at first sight. The two quickly get married but, only days later, Valeria finds out that her husband might not be who he says he is. It is therefore up to Valeria to discover the truth. Yes, this is another super vague description because some of the secrets of the story are revealed quite early and I don't want to give anything away because it's such a crazy, twisty tale. But, as you probably expect from Wilkie by now, there are questions of identity, crime, and, of course, social justice. Valeria is constantly expected to behave in a certain way simply because she is a woman. However, she also happens to be strong-willed and tenacious and this leads to a first-person account that is compelling and ultimately a bit stressful to read! 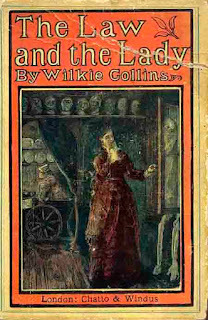 It manages to be smart but insane at the same time and is a great example of Collins' genius with plots and his concern about the Victorian society's treatment of women. I had so much fun reading this book that I will probably choose another Collins to read this winter. This sounds very entertaining. I have a few of his on my ereader so I'll see if this is one of them. I enjoyed The Dead Secret last year and hope to read The Woman in White sometime soon. Ahh, The Woman in White is so good too! I really need to read something else by Collins - it's been a few years! I always forget how easy (and fun) his books are to read. I don't think I have too many unread ones left though! Wilkie Collins is the best. I wish someone would release nice new elegant editions of all his books so I could buy them all matchy. Sounds really interesting. 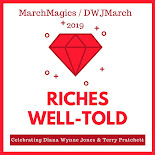 I'd never heard of the author, but you and Jenny both saying it's awesome is a good rec. Wilkie is probably the most readable Victorian author because his plots are totally crazy and fun. I hope you pick up one of his books sometime!